A leader of the Gilets Jaunes (Yellow Vest) movement has called for an “uprising” at next Saturday’s protest, following the severe injury of one of its major figures over the weekend. The protest last weekend, dubbed “Act XI,” saw 69,000 participants across France, with 4,000 in the capital of Paris. One of the major incidents involved prominent figure Jerome Rodrigues who was shot at by riot police with “flashball” rounds which resulted in the activist being seriously injured, facing the prospect of losing one of his eyes, Le Figaro reports. Mr Rodrigues is a close associate of one of the leaders of the Yellow Vest movement Éric Drouet with the latter calling on members of the movement to harden their pressure on the government of French President Emmanuel Macron. In a statement, Drouet made clear reference to the French national anthem writing, “Citoyens, formez vos bataillons!” or, “citizens form your battalions!” — a far more overtly militant stance than the movement has previously made. Drouet had previously been visited by police after calling for the storming of the Elysée Palace on French television and arrested earlier this month for holding an impromptu protest. Rodrigues captured footage of the attack whilst live streaming during the protest around the Bastille, showing police firing directly at him. Rodrigues’s lawyer Philippe de Veulle claimed that a complaint against the actions of the police had already been filed and blamed the use of flashball ammunition for the injuries. 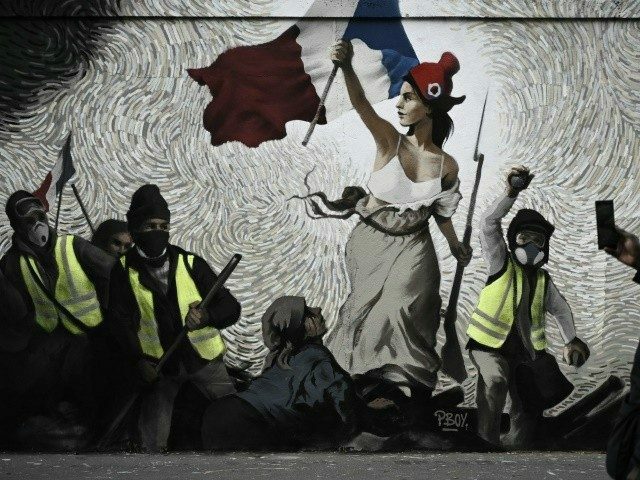 The injury comes after French emergency room doctors sounded the alarm over the high number of serious injuries suffered by Yellow Vest protesters over the last 11 weeks which have seen several people lose eyes and hands due to riot police tactics.